How patients answer questions about overall life goals can inform treatment decisions, especially near the end of life. The four medical schools in Massachusetts have jointly agreed to teach students and residents how to talk with patients about what they want from life, so future doctors will know how far to go in keeping gravely ill patients alive. How patients answer questions about their overall life goals can inform treatment decisions, especially as people near the end of life. Now, Berman said, doctors need to learn how to ask even more deeply personal questions, such as: What most matters to you? What do you need to make life worth living? In what circumstances would you rather not be alive? The medical schools’ plans to change their curriculums stem from the work of the Massachusetts Coalition for Serious Illness Care, a year-old consortium working to ensure that every resident receives the medical care they want — no more, no less. Dr. Atul Ga-wande, the surgeon and author who helped found the coalition, approached Berman about coordinating an effort among the medical schools. By planning ahead, individuals can take steps to ensure their wishes are followed. Meanwhile, on Tuesday, the coalition will mark its first anniversary with the release of a survey of 346 adults who live in Massachusetts, conducted this year. 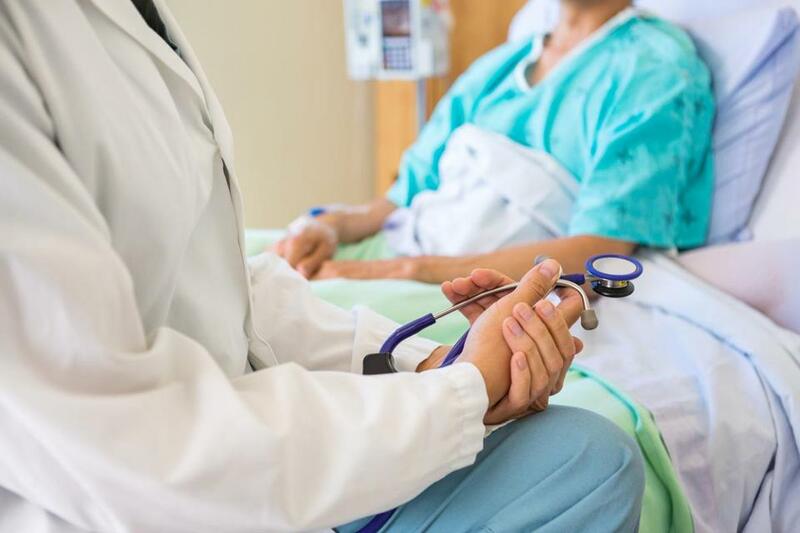 Nearly all residents surveyed said it’s important to talk about their wishes for medical care if seriously ill or near the end of life, but 35 percent had not had that conversation with anyone. When end-of-life conversations with a health care provider did take place, they were initiated by the patient two-thirds of the time. But three-quarters of those surveyed who said they had spoken with a health care provider about their wishes found that the talk was not difficult. Doctors should have this conversation with patients, Berman said, when asking about their medical and family history, before they become ill. And the conversation needs to continue throughout life as circumstances and attitudes change. Berman said that the schools’ academic deans will collaborate on the best way to incorporate this philosophy throughout medical school and residency training. It can’t be taught in a single class, he said. He expects the curriculum changes to be adopted within a year. In collaborating on a curriculum change, the medical schools will be building on a successful effort in 2015 to add instruction about prescription painkillers and opioid addiction. The Massachusetts Coalition for Serious Illness Care started last year, when Blue Cross Blue Shield of Massachusetts brought together leaders in end-of-life care and dozens of organizations concerned with health care and aging. It is funded with $200,000 a year from Blue Cross and the Rx Foundation, which works to improve the quality of hospital care. With 58 members a year ago, the group has now grown to more than 70. Each organization commits to promoting the coalition’s goals: that all adults have designated a health care decision-maker and have spoken with that person about their wishes; that all clinicians are trained to discuss advance care planning and serious illness care; and that systems are in place to make sure patients’ wishes are documented and honored. Many of the coalition members had already been working on those issues for years. But they say the coalition bolsters those efforts. “Having to talk about it, being held accountable to a group of our peers — that makes you want to achieve things and achieve them faster. . . . It’s also really a way to hold people’s feet to the fire,” said Anna Gosline, senior director of health policy and strategic initiatives at Blue Cross, which offers workshops in advance care planning for its employees. Dr. Diane E. Meier, director of the Center to Advance Palliative Care in New York, has been watching the Massachusetts coalition and praised it as “the kind of social movement we need.” Meier, who received a MacArthur “genius” fellowship for promoting palliative care — medical care focused on relieving the stress and symptoms of serious illness — said the coalition is on the right track in focusing on what is valuable in life rather than planning for death. Elaine Seidenberg learned how complicated such decisions can be when she moved into Orchard Cove, a housing community in Canton that offers elders an array of social and medical services. Last year, for the coalition’s launch, Blue Cross commissioned a survey of 1,851 Massachusetts adults. It found that more than half had not named a representative to make health care decisions if they were incapacitated, often because they weren’t sick and didn’t think it was necessary. This year, surveyors reached out to 860 people from the original survey, and 346 completed a follow-up. The survey was conducted in February and March by the research firm SSRS and the University of Massachusetts Medical School. Among those who reported a loved one’s death in the past two years, only half rated the care received at end of life as excellent or very good, and a little more than half said their loved’s wishes were followed and honored. Gawande said those responses represent a “very poor” showing for end-of-life care. When asked about other types of care, such as surgery or cancer care, nearly all patients rate their care as excellent or good, he said.